Enjoy your food-allergic life to the fullest. Let Allergic Girl show you how. Sloane Miller, M.S.W., L.M.S.W., is ablogger, advocate, consultant, and authorityon food allergies who manages multiplefood allergies herself. 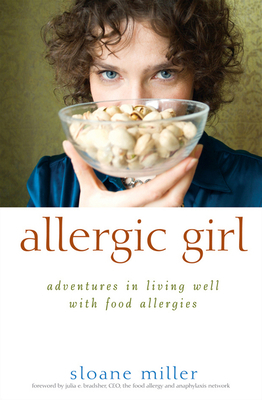 Her hugely successfulblog, Please Don't Pass the Nuts (allergicgirl.blogspot.com), was the first blog dedicatedto food-allergic adults. A licensed psycho-therapeutic social worker since 2000, Miller opened a private coaching practice in 2007 for the food-allergic community. She has been featured in the Wall Street Journal, the New York Times, the Huffington Post, New York magazine, and the New York Daily News, and on cnn.com, abcnews.com, and other websites.